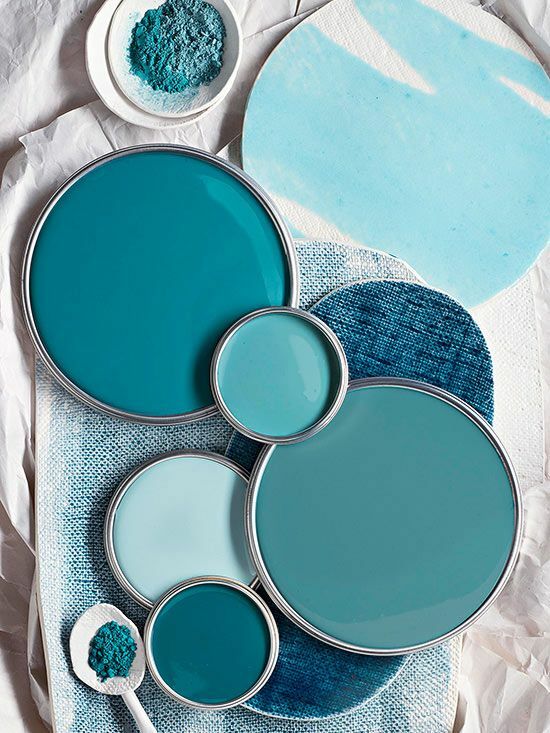 Surround Yourself With Confidence In Shades Of Blue! 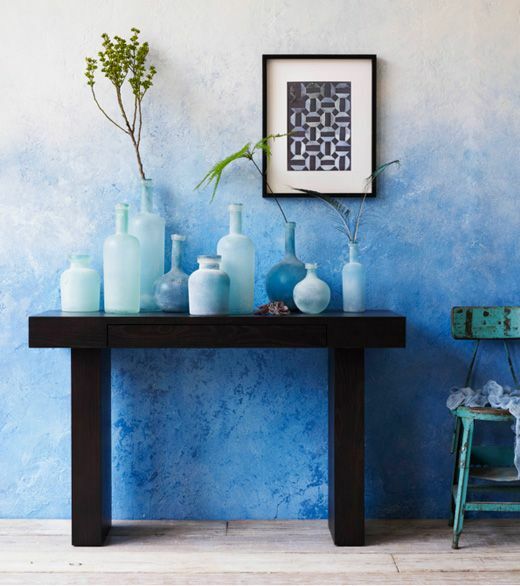 Blue is a color that comes in so many forms that I love to play with: mineral shades, deeply saturated nearly ink black blues and even powder blue that’s nearly white. 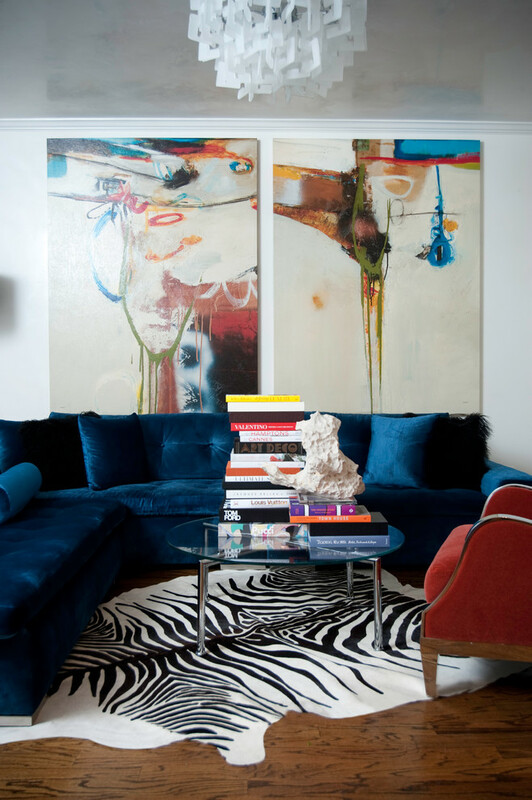 In every way and in every shade, blue is a color that’s so worth exploring. Wait till you hear what blue can do! Blue in a color of self… but is is also a color of love. 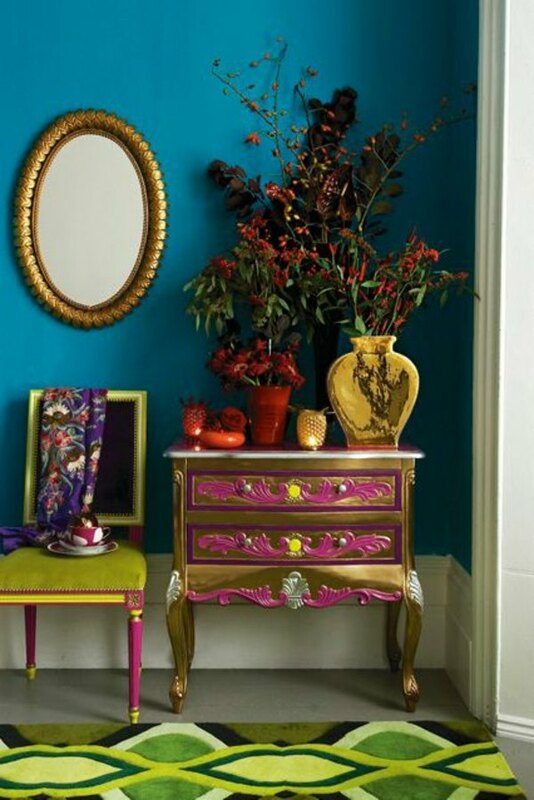 It’s a color that is cool, but that’s valuable in our overly-hot, overly-active lives. Blue is refreshing. And extremely power-packed. 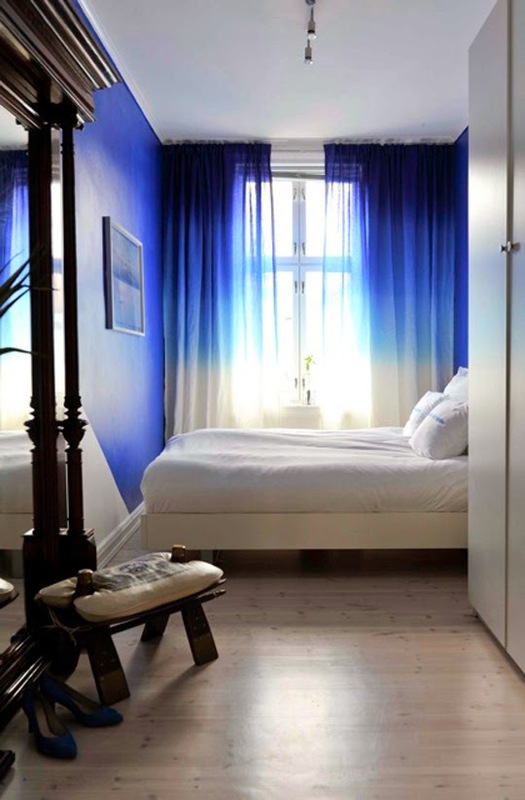 I have ombre blue curtains in my own bedroom right now, very much like the above. Some healers use blue light as protection. I love these stories as they reinforce the feelings I have sometimes. In this case, blue is angelic. My friend Parker shared the work of healer Doreen Virtue with me where blue was concerned. Blue light is what she recommends to visualize everywhere. Blue, she says, is the color of the most protective angels. Yes, angels. And Doreen explains how your home should be full of blue light as well, something you can visualize or actually accomplish with blue art and objects around you. Blue. Its in all ways fascinating. It’s the color of confidence. It resonates with water, the start of new things in the element cycle of feng shui. Universally liked by men & women, blue is a color of unity and strength. And always, blue is similar to the sky and sea. Expansive…! Of course, something simple like wearing more blue to start can help you to feel the self-expressed power of blue echoing through your day. 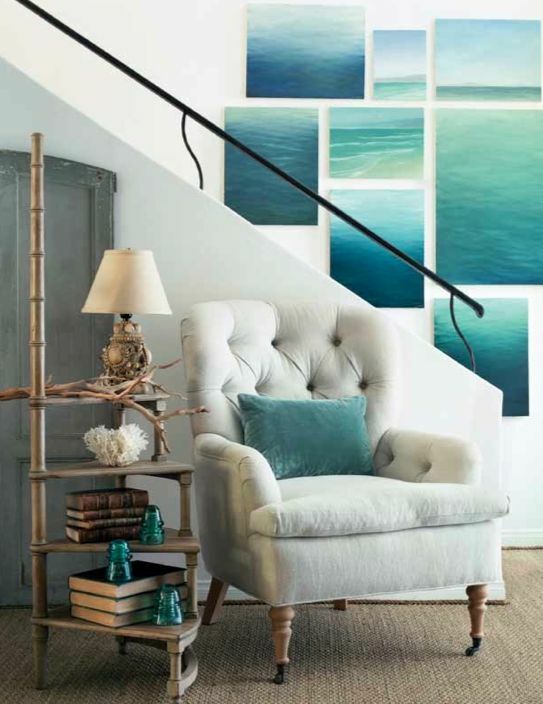 Are you a blue-lover by nature? Do you feel it change your mood? I’m so curious if it affects you as much as it does me! Previous post: There’s No Perfect Decision, So Don’t Stress Over It! Next post: 7 Ideas To Deal With Super-Negative People Without Going Crazy!